Last week in New York City, a new app hit the streets: Sedan Magic, a sedan and taxi booking app makes it easy to order a car on-demand or book it in advance. Sedan Magic Ride’s parent company, RideCharge, Inc. works with established fleets that cover both taxis and sedans, and which control the majority of licenses, vehicles and capital in the $10 billion US ground travel industry. “By integrating with their in-house dispatch software systems, we can connect to all of their cars and offer taxi and sedan booking at huge scale,” says Matt Carrington, Sedan Magic Ride’s Director of Marketing and Communication. After just one week in operation, this partnership enables Sedan Magic Ride to connect you with 400 vehicles in NYC. The app is relatively easy to use, letting you book a ride now or schedule for later. It provides transparent pricing so you know how much it will cost you (tip included) before you book. While an “executive sedan” is currently assigned, soon you will be able to choose between 2-3 sedan categories. In my five times using the service, I received 3 SUVs and 2 sedans. All of the drivers were on time, and incredibly friendly! When I asked each driver what they thought of Sedan Magic, each of them replied that it was their first time using the service. When I told them I could track them on a map to see where they were and how fast they were approaching, they all thought that was really cool. The company is in a busy space, competing with the likes of Uber and GroundLink. For New Yorkers, GroundLink and SedanMagic are particularly handy with their advanced booking abilities, the lack of which has held Uber back from penetrating the Big Apple. Prices for an SUV are similar when using either GroundLink or Sedan Magic, however it’s considerably more expensive to book a sedan on Sedan Magic, ironically enough. 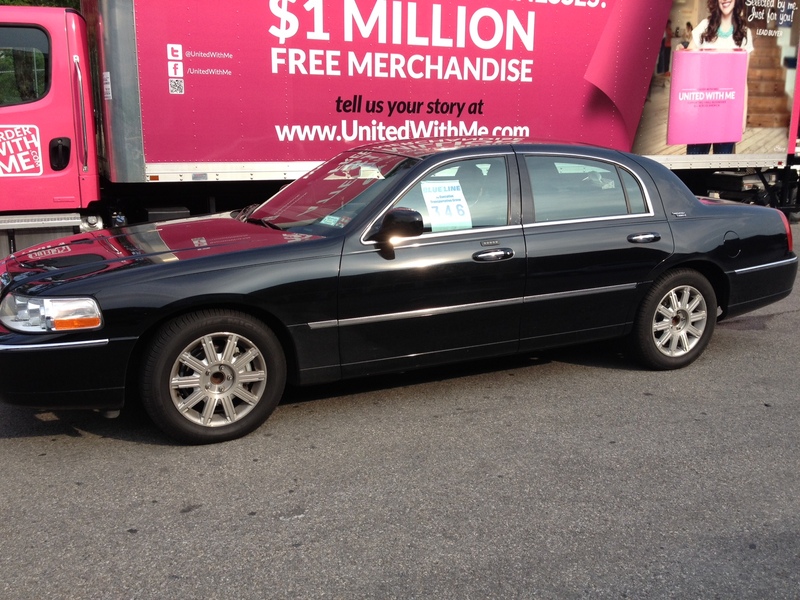 A trip from Brooklyn to the Upper West Side in a sedan costs under $50 on GroundLink while it costs $75 on Sedan Magic. So it’s worth comparing the two’s fares before you book. Meanwhile, in San Francisco, where you can’t flag a cab on the street very easily, Uber dominates its home city’s territory with on-demand bookings; apps like GroundLink or Sedan Magic take a back seat in the Bay Area. Sedan Magic’s CEO and co-founder Tom DePasquale is a serial entrepreneur who sold his previous company, Outtask, a corporate travel management startup, to Concur Technologies. While at Concur, he realized that ground travel was the last bastion of the travel industry that had not been fully automated, especially on a rider-facing level. He started RideCharge in 2007 (the same year taxis in New York City started implementing credit card machines) as a platform for corporate travelers to book and expense ground travel. In 2008, Apple launched v2.0 of the iPhone and enabled third party apps. DePasquale and his team built and launched the Taxi Magic app, which connects to 25,000 taxis in 40+ US cities, atop their existing booking infrastructure and the product took off immediately. Since then, they’ve raised funding from travel industry sources to launch new products. While Sedan Magic has its foothold in the New York ground transportation market, it plans to expand to new cities soon.